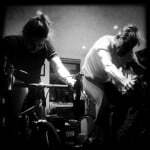 Fill the engine on your bicycle with the right fuel for a happy cyclist. I find it difficult to find the right food to fuel my body when I am out riding my bike. Many products are too sweet and rather than eat them I just avoid eating (which on a long ride is not a good option). Hence I am always on the lookout for new products that I can eat when riding that I actually look forward to eating. I also have a thing about filling my body with too many processed ingredients and have a few products that I tend to rely on because they use ingredients that I actually recognise the names of. 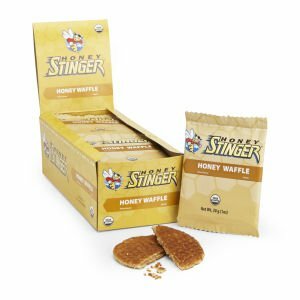 When I was given some Honey Stinger Honey Waffles to try I immediately checked out the ingredient list and was relieved to see that the list was organic and packed with things like: organic wheat flour; organic rice syrup and organic honey. It does make a difference to see that a “honey” product does actually use honey and not just some sort of flavouring. Less of the history lesson, what do they taste like? The dimensions of the packaging on the Honey Waffle are 8.5cm x 12cm and approx. 5mm thick, meaning that they fit perfectly in the rear pocket of a cycling jersey. Two or three together and there was no noticeable bulge or annoying digging in my back as I rode. The pack is also easy to open on the move with the serrated top easy to tear with fingers or teeth. The circular waffle inside reminded me instantly of those tasty Belgian waffles that sit on the top of your mug of tea until they melt soggily. Taste-wise they are very similar to those Belgian waffles, but on the bike it’s hard to balance a mug of tea, so I was concerned that they would be too chewy and difficult to eat. I tried these on several rides and the first bite was a chewy (one occasion was at 12am in minus-eight temperatures on the Strathpuffer 24hr MTB race), but nothing that I couldn’t handle. The flavour is great. I was expecting it to be quite sickly-sweet, but it was the perfect balance of sweetness without being over-powering. Energy-wise the Honey Stinger Honey Waffle packs in 482kcal per 100g of which 67g are carbohydrate. On the rides I have tried them (usually over 40 miles) they have been sufficient in providing for my energy needs and have been a tasty alternative to the usual bars and gels I have tried. The product does contain wheat and soya products and may contain milk and egg traces, so beware if you have such allergies. You can buy Honey Stinger Honey Waffles here.